The world is on the threshold of a new era marked by appearing of ‘smart cities’. Blockchain technologies will be the basis of managing those cities. 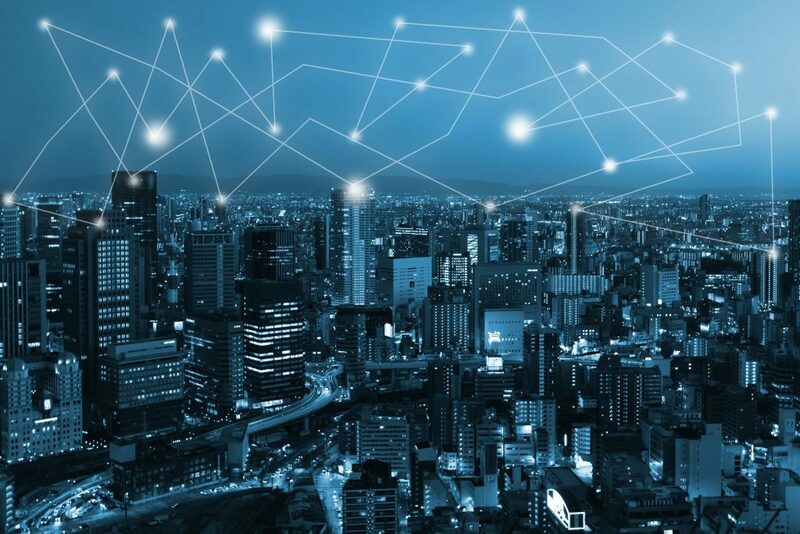 According to experts’ predictions, in the next two years blockchain technology is expected to be used in about 600 cities and moreover by 2027 70% of total GDP is expected to be concentrated in smart cities. Blockchain technology implementation is a way of solving multiple problems and protecting people’s rights presenting municipal structures that take into account interests of every inhabitant. Blackball agency experts are informing about the potential that blockchain technology implementation into municipal structures have. Blockchain technology implies partaking of every citizen in the city managing system. Data is accessible for all network members and it is impossible to falsify them. The system bans any action while noticing noncorrespondence inside a network. Thus, in smart cities the democracy is expected to be realized on the maximal level. Blockchain technologies may be used for both vital issues like medicine, education or economy managing and for smaller problems solving like overcrowded parking, public services price growth, etc. In fact absolutely new model of municipal managing is going to appear. The government will get the legislative power only while the executive one is expected to be shared among citizens. Network members will control implementation of regulations. Dubai and Seoul are expected to become the first completely smart cities in the world. The Dubai government has a strict course towards innovations. They plan to make Dubai the best place for living by 2020. The government is going to implement blockchain technologies in the majority of economical sectors: trading, energy, banks, tourism, etc. The project of Dubai transforming into a smart city includes document flow and monetary transactions in digital way only. Blockchain technology is expected to simplify such processes as business establishing or innovations implementation. Meanwhile, the mayor of the South-Korean capital Pak Wonsun suggested the project of transforming Seoul into a smart city by 2022. Pak’s project was maintained by the state government and the mayor got 108 million dollars. Blockchain technology is expected to be used for insurance system, efficient workers protection and data control. Several cities are not ready to be transformed completely but their governments are going to implement blockchain in some particular sectors. In Taipei blockchain technologies are about to be used for citizens identification and for environment condition control. In China those technologies will be used for state and public services and some industrial spheres. Moreover, Germany and the USA also plan implementing blockchain in particular cities. While in Dubai or Seoul blockchain technology is planned to be implemented into the existing municipal system the American crypto billionaire Jeffrey Berns is going to create a new city functioning on the basis of blockchain technologies. The land has been already purchased. Jeffrey’s company Blockchains LLC got the land of 67 000 acres in Nevada desert paying $170 dollars for it. A smart city establishing is expected to commence in 2019. Jeffrey divided the city into two parts. The first part includes laboratories and scientific centers where developers are working on further possibilities of blockchain technologies implementation. The living part of a city may host several thousand inhabitants who are expected to live as a one large community. The transport system will be based on electric cars only and delivery system is expected to be executed by drones. Such cities may open revolutionary new era of municipal planning and managing. Theoretically those cities may become self-managed and the government becomes useless. Blockchain technologies implementation may lead to new cities appearing where democracy serves for protection the right of every citizen.